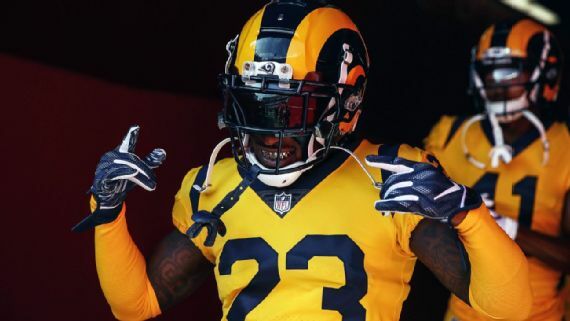 In the Los Angeles Rams’ locker room, he’s among the most welcoming of faces. A stereo sits inside his locker, and many days he turns it up to provide a soundtrack for the room. That’s what makes it so difficult to fathom. Underneath his exuberant and upbeat personality, the 27-year-old has already experienced some of life’s deepest sorrows. It brought Maxine great joy when her 17-year-old son signed to play college football at USC, even though it meant he would move across the country from Frostproof, Florida, a tiny town of about 3,000 people, in the central part of the state. But two weeks after he signed his letter of intent in February 2010, his world shattered. Maxine had high blood pressure and a heart condition. Before he left for school one morning he made a quick check on his mom, who had recently been hospitalized, and found her on her bedroom floor. For seven minutes before paramedics arrived, he performed CPR as his mother’s heart failed. As medics tended to his mother, Nickell was told to go to school. But with the help of his high school coach, he later made his way to the hospital, where his family gathered.